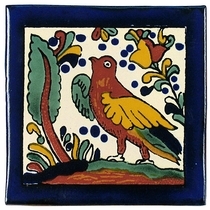 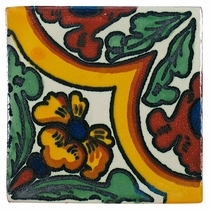 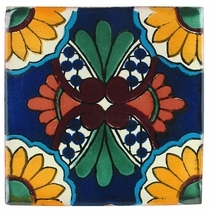 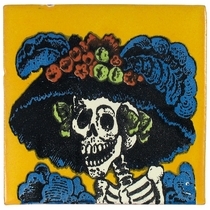 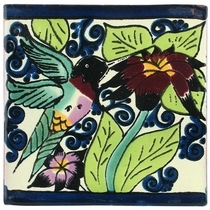 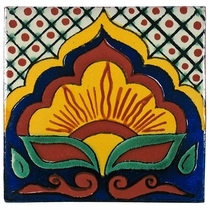 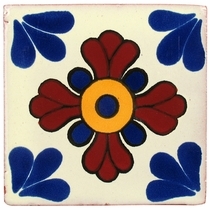 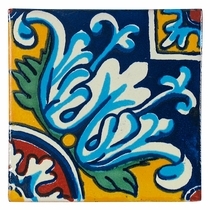 Our Mexican Talavera tile is all handmade in Mexico. 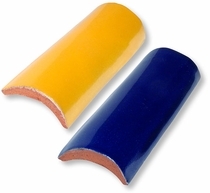 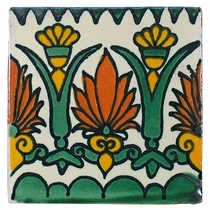 Use these colorful hand painted Mexican tiles for decorative accents on counters, bathrooms, vanities, window surrounds, fireplaces and more. 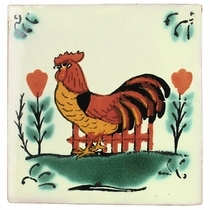 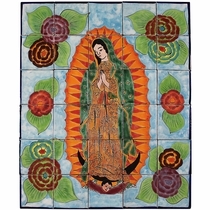 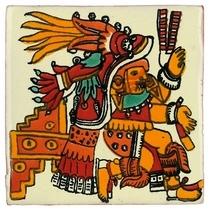 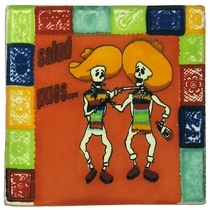 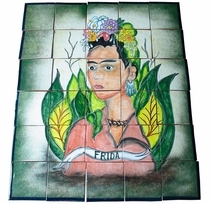 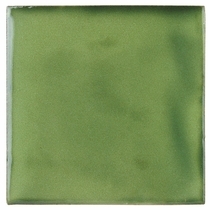 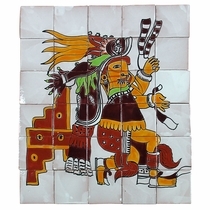 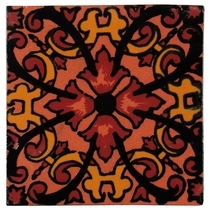 Our Mexican ceramic tiles are available in solid colors and a selection of hand painted patterns. 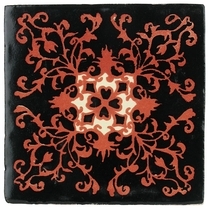 Use all solid or all pattern tiles or combine them to create dramatic designs for your decor. 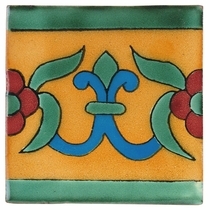 All tiles are 4" square unless noted otherwise. 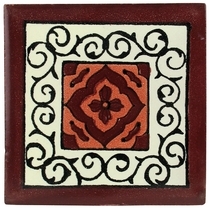 If you would like different tile designs included in your minimum order, follow these instructions: Add the required minimum of one box of tile to your shopping cart then tell us the different design item codes and quantities in the comments section at checkout. 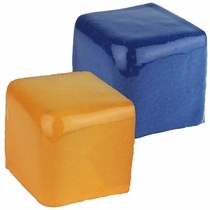 Do not mix sizes. 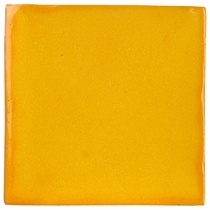 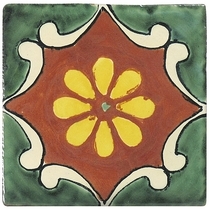 Orders of less than 15 tiles will require a $5.95 shipping fee. 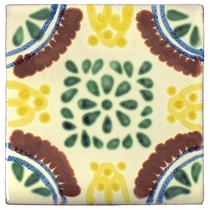 *Applies to orders in the continental U.S. only. 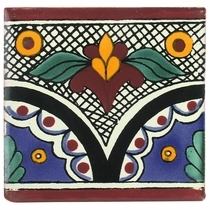 1 box minimum. 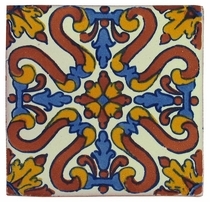 Individual samples are not shipped free. 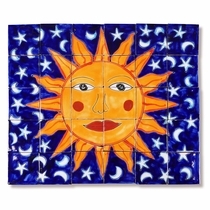 LARGE TILE PROJECT? 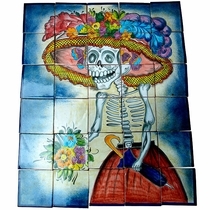 - Order Your Tile Early! 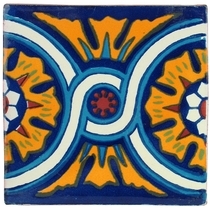 Stock levels on Talavera tile change quickly. 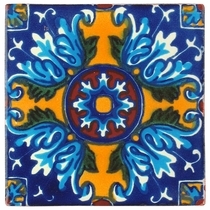 We recommend that you order your Talavera tile as soon as possible. 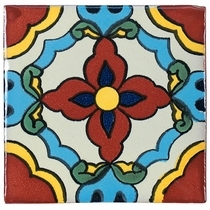 Large orders can take 4 to 6 weeks to fill if all of the tiles are not in stock when you place your order. 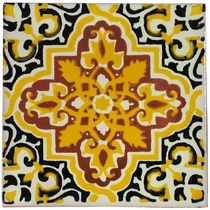 Please call us at 866-234-8744 to discuss your tile needs. 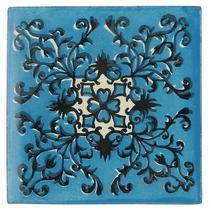 Click on the tiles below for details and ordering. 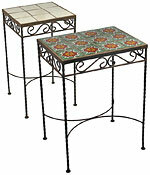 Great for patio or poolside. 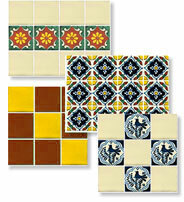 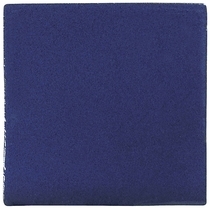 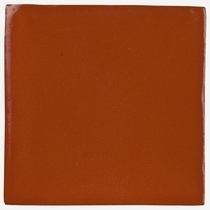 If you are attempting to match existing tiles on a project, please request a sample before placing your entire order. 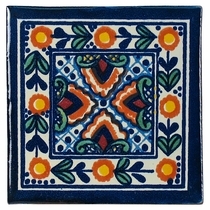 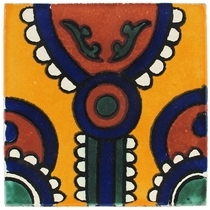 Mexican tile may look the same online, but colors and patterns vary from the hundreds of sources in Mexico. 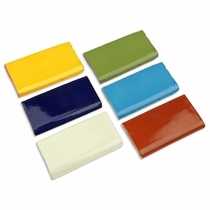 Call to order samples, or order any box of 15 tiles and list the item codes in the comments box at checkout. 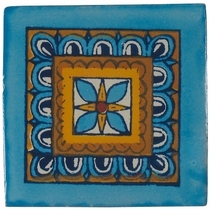 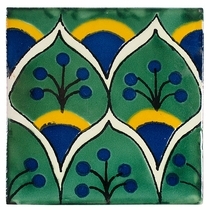 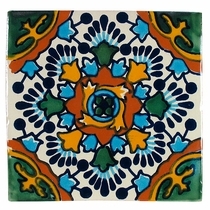 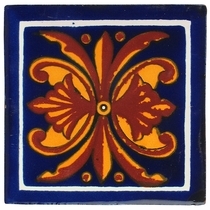 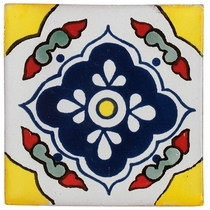 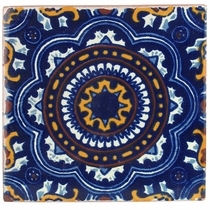 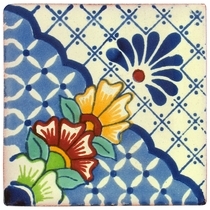 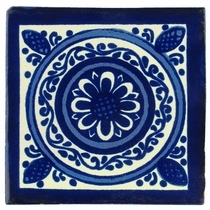 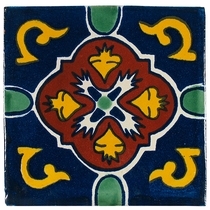 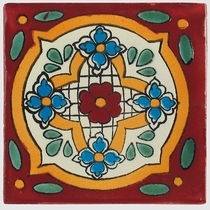 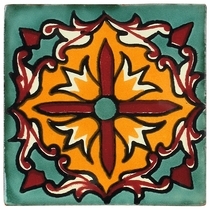 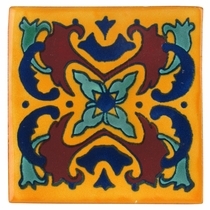 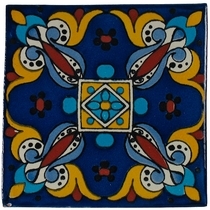 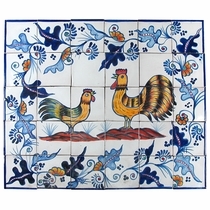 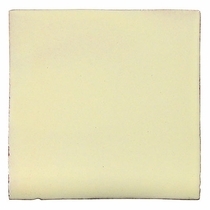 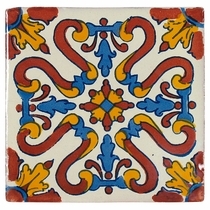 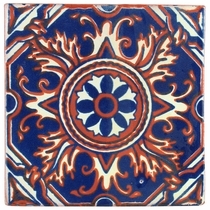 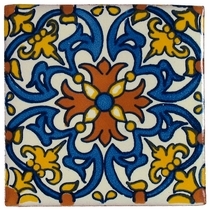 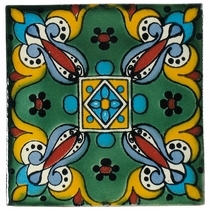 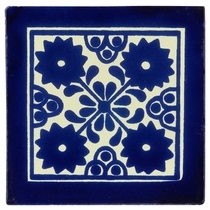 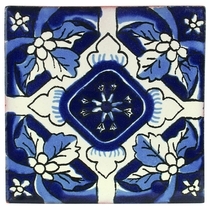 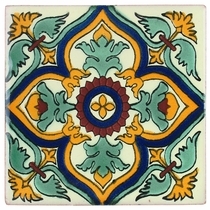 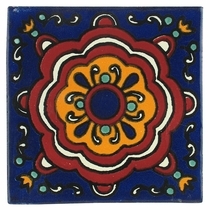 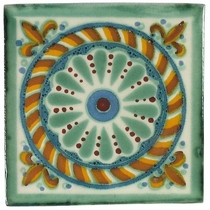 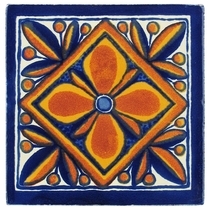 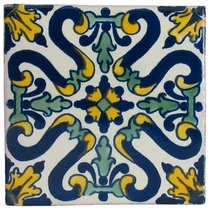 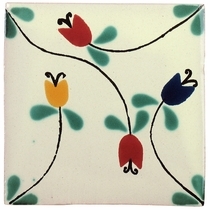 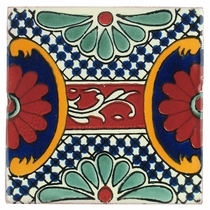 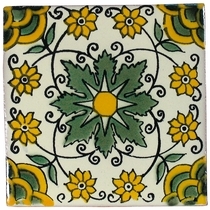 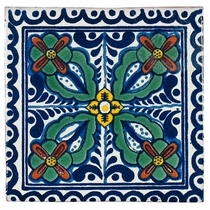 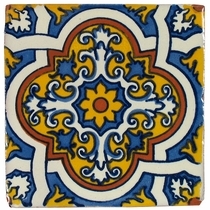 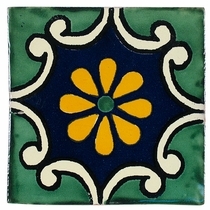 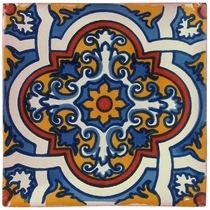 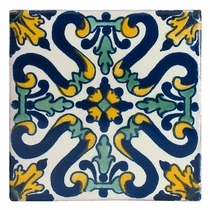 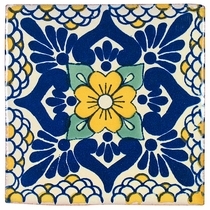 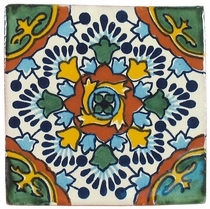 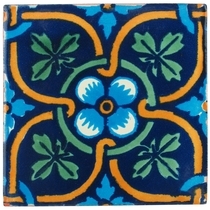 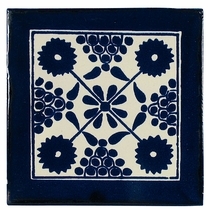 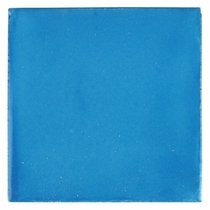 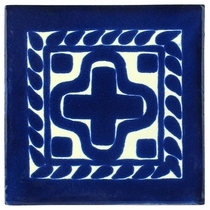 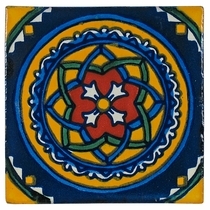 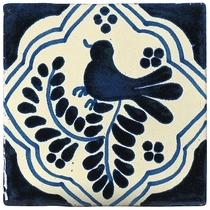 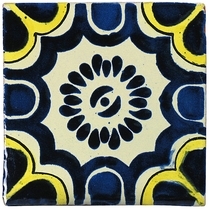 Talavera Tile - PP2175 - 15 Tiles - 4" x 4"
Available in Blue, Cream, Green, Terracotta, Yellow and Turquoise. 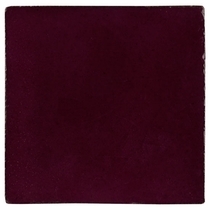 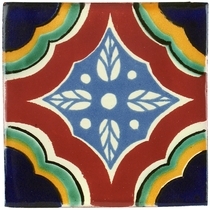 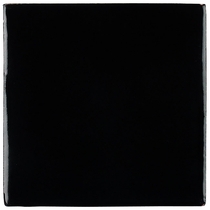 6" Square Tiles. 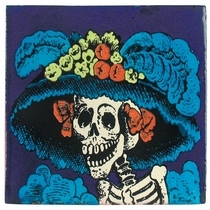 10 Per Box.